Toshiba is selling part of its memory chip business to cover the billions it lost building nuclear power plants. In one day, the company lost its chairman, said it will stop building nuclear power plants, wrote off about $6.2 billion relating to that business, and postponed its fourth-quarter earnings report for a month. The nuclear write-down, then, could topple Toshiba—but even if it doesn’t, the company could still be forced to sell further assets, perhaps including its PC and laptop business. 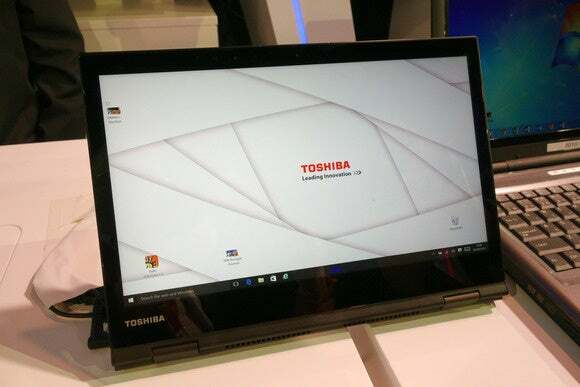 It’s certainly a well-trodden path for Japan’s PC makers, and one that Toshiba reportedly has considered before. NEC put its PC business into a joint venture with Lenovo, then sold that company the majority of its stake in July 2016. And last October, Fujitsu said it was discussing a “strategic cooperation” with Lenovo on PC manufacturing. Even if Toshiba sells off its remaining enterprise PC business, it still has fingers in a lot of pies. It makes tablets, TVs, Blu-ray disc players, hard disks and image sensors—and that’s just the IT-related activities.